Project Grand Slam is an acclaimed Fusion band, led by bassist/leader/composer Robert Miller, combining the power and beat of rock with the complexity and improvisation of jazz, with a jam band sensibility. In November 2015 PGS opened for Scott Weiland (formerly of Stone Temple Pilots) at the Gramercy Theater in NYC. 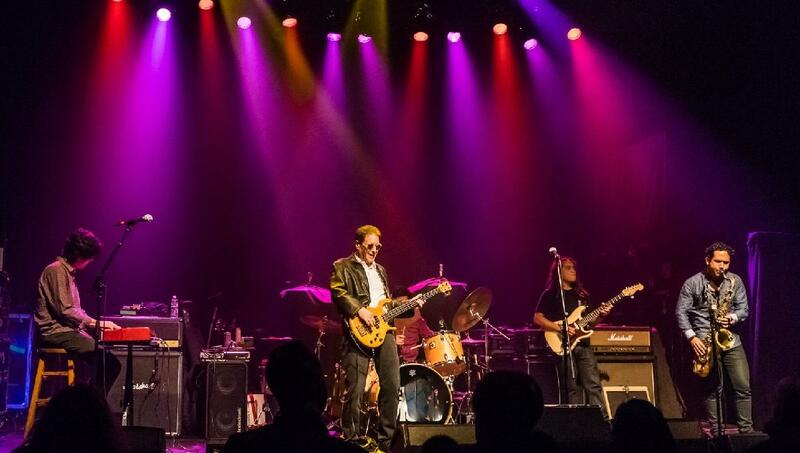 In May 2016 the band opened for 4-time Grammy Award nominee Boney James at the Bergen Performing Arts Center in NJ. In July 2016 the band will be the featured performer at the Kirby Center For The Performing Arts in PA. PGS continues to play at the better clubs in NYC including a monthly residency at The Groove. PGS’s prior album – “Made In New York” – was released in September 2015 and featured two singles, “New York City Groove” and “Fire” (Robert’s re-imagined version of the Jimi Hendrix classic). Both singles featured 2013 “The Voice” semi-finalist Kat Robichaud on vocals. The band and Kat also filmed videos for “Groove” and “Fire” that have been viewed over 150,000 times to date. The reviews of the album and “Fire” were incredible, with words like “fantastic”, “damn fine album” and “hard to resist” for the album, and “superb”, “brilliant”, “excellent”, “stunning” and “unbelievable gem” for “Fire”. Robert originally formed the band in 2007. PGS’s first two celebrated CDs, “Play” (2008) and “Spring Dance” (2012), had two top radio singles – “The Captain Of Her Heart” (feat. Judie Tzuke on vocals) from Play, and “Catch You Later” from Spring Dance. The band also had a featured role in the hit NBC-TV series “Lipstick Jungle” starring Brooke Shields and Kim Raver, with five of the band’s tunes featured in the soundtrack.